Started an ambitious project this morning…might take 2 or 3 days to complete. The Book Room merchandise is moving to the Baby Department and the Baby Department is moving into the Book Room. That will allow everything to flow better…book room was getting too small for its inventory. The Angels are moving somewhere, not sure exactly how they will fit or where but I know it will look great!! Everything will remain open during this change over, but might be harder for me to remember where a certain item is during the transition. One upside is that all of the books will shortly be organized into easier to find categories; everything will get new labels. Thanks to Dianne for walking piles of books from one room to another and to Henry for stopping by after his work to move shelving. When you are out and about come by and let me knew what you think about the new plan. 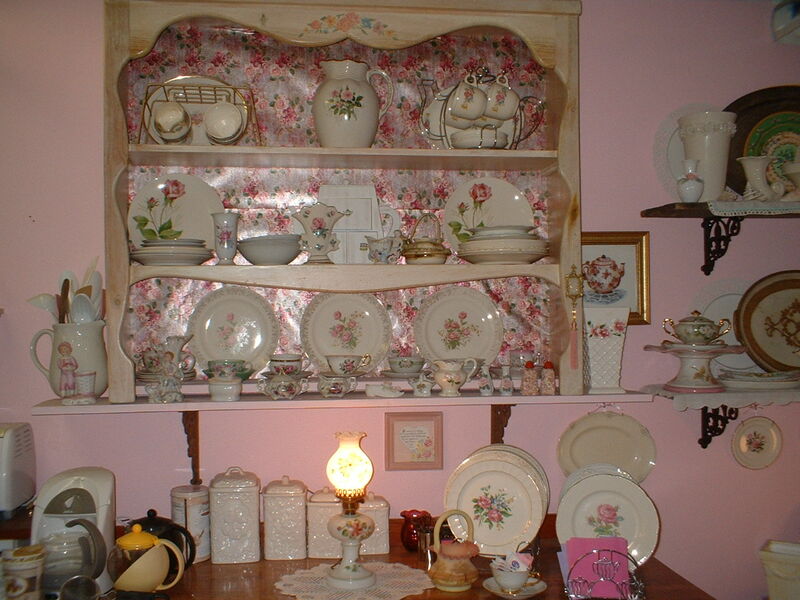 Pink Rose Dish collection…Not for sale…just part of the Funky Karma kitchen decor, and they make me happy! I love these old dishes, found one or two at a time in thrift stores, FleaMarkets, yard sales and some were gifts from friends. 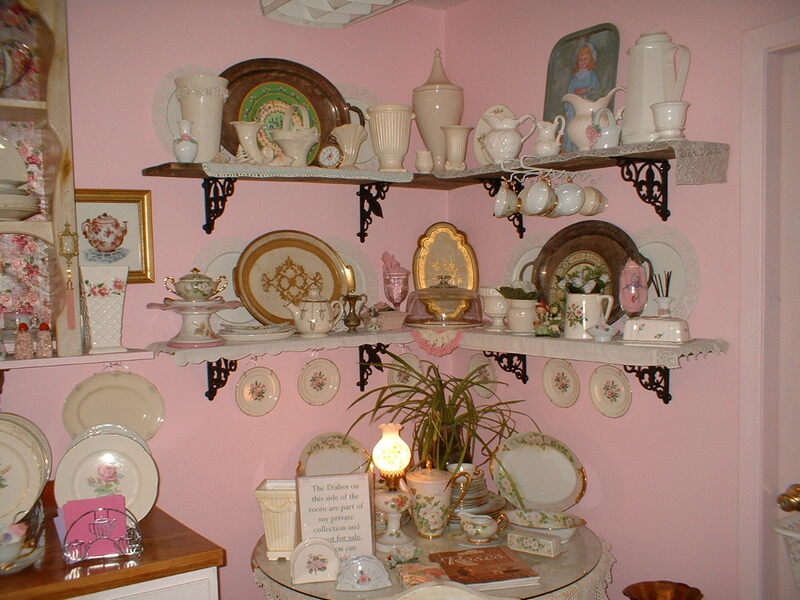 When i was in Ohio 2 years ago, my daughter Becky was there also and she took me to 2nd hand stores, fleamarkets and yardsales to find lots of treasures.Part of my personal collection of mix and match dishes, almost all have pink roses on them. Most have pink roses...are there any other kind?...with some gold and cream to all interest. Plumas’ message, and changes at work.